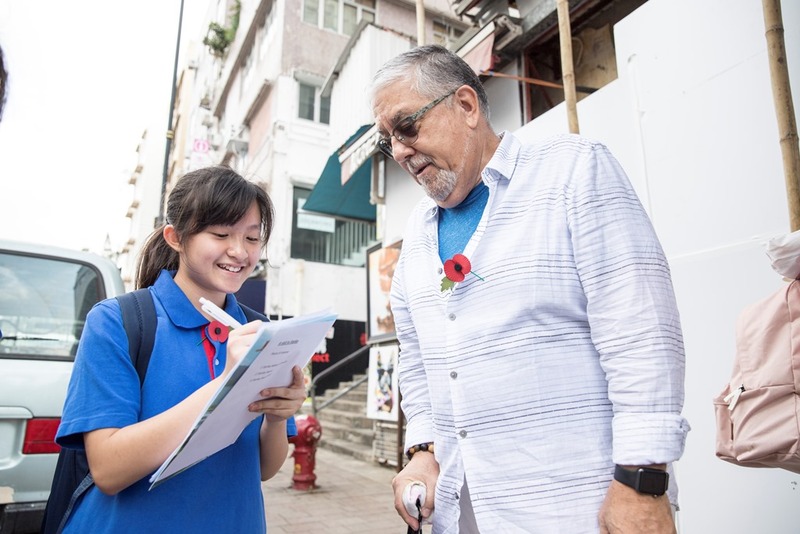 Accompanied by their teachers, over twenty form three students from Tsoi Kung Po Secondary School sold paper poppies in Stanley on 10 November, the eve of Armistice Day, to commemorate the end of World War I and spread the message of peace. All proceeds would be donated to the Royal British Legion’s Hong Kong and China branch. The teachers and students also visited the Stanley Military Cemetery, which stood on the spot where the Hong Kong garrison fought against the Japanese on Christmas Day 1941. After the war, Western civilians who died in the internment camps and the war dead from various countries were buried at the cemetery. 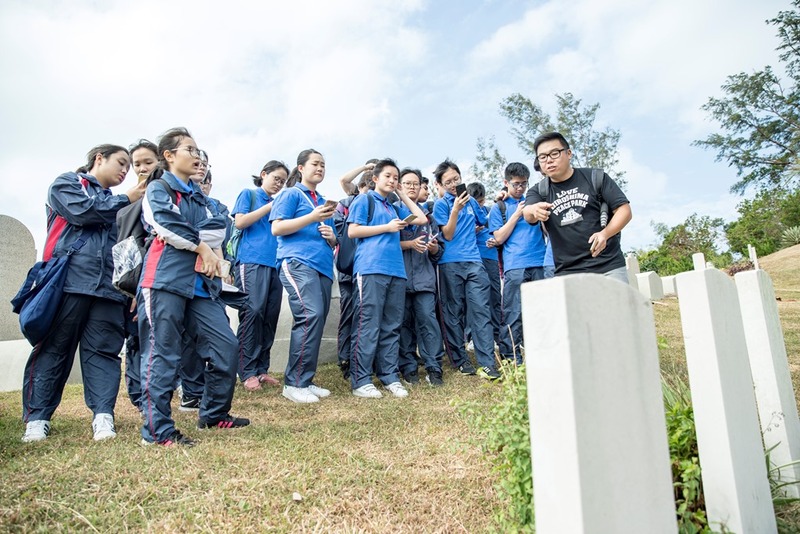 The teacher in charge of the day’s activities, Mr Yip Wai-man, said that he hoped the students could read all the engravings on the gravestones carefully, learn about the experiences of the deceased’s lives, and deepen their understanding of the history of World War II and Hong Kong.